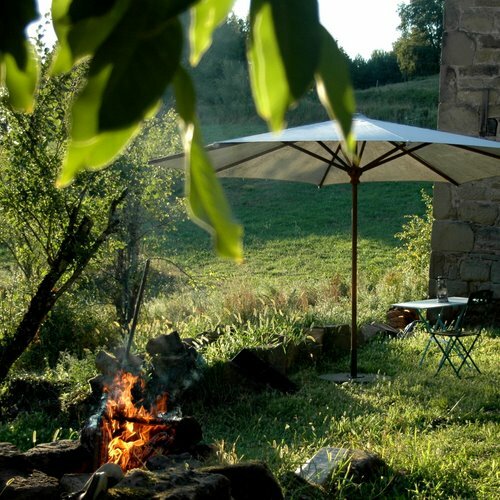 Yesterday we had rain here at Coin Perdu in Corréze, where we are restoring our mountain home. So last night asked for something soupy. Because we are temporarily living in the barn for the next year or two, I don’t have an oven, only a stove. So a soup is quite easy. And quick. I am always joyful when hearing the word quick. Previous Article Watermelon and recipe thoughts. Next Article Tomato salad on Friday. 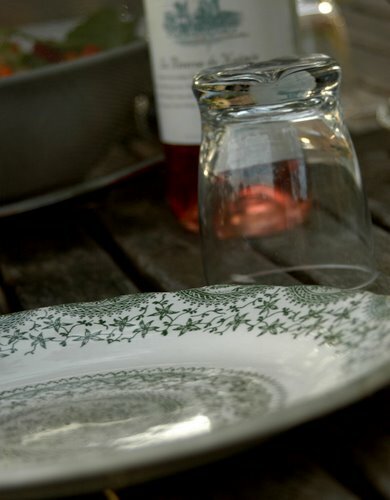 Sounds delicious with the sun-dried tomato pesto! It feels like a treat to myself when you post~Thank you. I love the photo and the recipe is something I want to try. It makes me hungry. So beautiful! I hope your house restoration goes well… And the soup is such a great summer soup. MMMM, the soup looks so inviting, but the word restoration is sending shivers down my spine!!! Correze is a lost but beautiful corner in France, was there last year for a wedding! 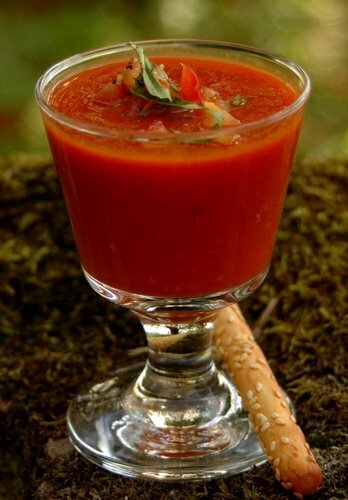 This cold tomato soup is truly refreshing!! Tomato soup is a childhood favorite so I find this ‘adult’ version so interesting and intriguing-thanks for sharing! How wonderful to have this restoration project in your life, but where do you find the energy? 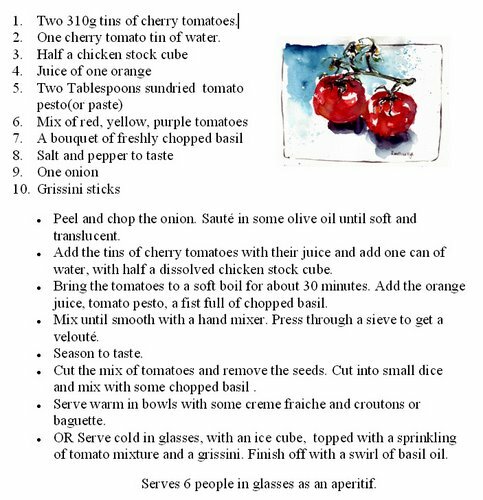 The cold tomato soup ….YUM! What a lovely red summer soup! I love your yummie ingredients! Good luck with the house restoration. How are you, Ronell? No oven for 1-2 years? Wow, that will be a challenge. I hope it all goes well! And that soup looks lovely. The soup sounds lovely, restoring a mountain home, even better. Both the food in your pictures and the words in your blog nourish the viewer. I’ve had this once before and it’s such a wonderfully refreshing comfort food 🙂 Thanks for stopping by my blog and commenting too! So… you are renovating, traveling, cooking, drawing, painting, photographing, writing, blogging (2 blogs as far as I know) all with great talent, and still have time to leave nice comments! Must be that interesting twist of orange in the gazpacho. Oh, what a beautiful soup! !